Birchbox sent out an email on September 10th with the offer to try out and review this Hydration Lock Lip Balm, all we had to do was tweet them which Chapstick we wanted to try and why! I believe they chose 100 people and I had no idea I was being sent these two lip balms until the Fedex delivery man showed up at my doorstep! I was super excited since I didn’t receive either of these lip balms in my September Box! I also thought we would only be sent one, not both! These dual ended Chapsticks cost $2.99 in the Birchbox store! At first I thought these Chapsticks would have less product than the regular ones but I was wrong! There isn’t a huge difference but regular Chapsticks have .15 oz of product while these dual ended Chapsticks have .154 oz! The “Day” side has SPF 12 while the “Night” contains tamanu oil and natural butters. Also, these new Chapsticks have a clinically proven formula for healthier looking lips! I found this Chapstick to be super moisturizing compared to other lip balms I used! I’m more of a fan of the “Night” end because it’s more moisturizing with the oils/butters it has! I’ve noticed a positive change in my lips and I’m sure you will too! 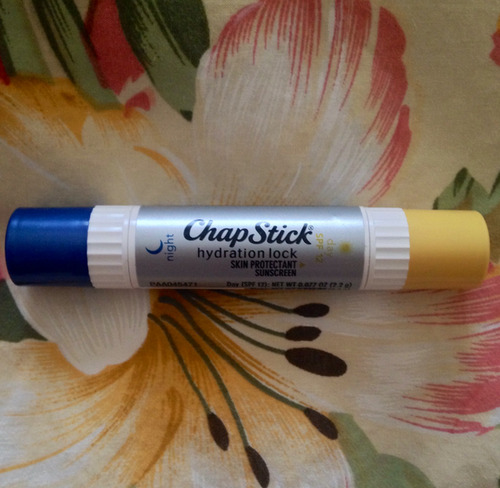 What are your thoughts on these Hydration Lock Dual Ended Chapsticks?